I wanted to share another easy craft! 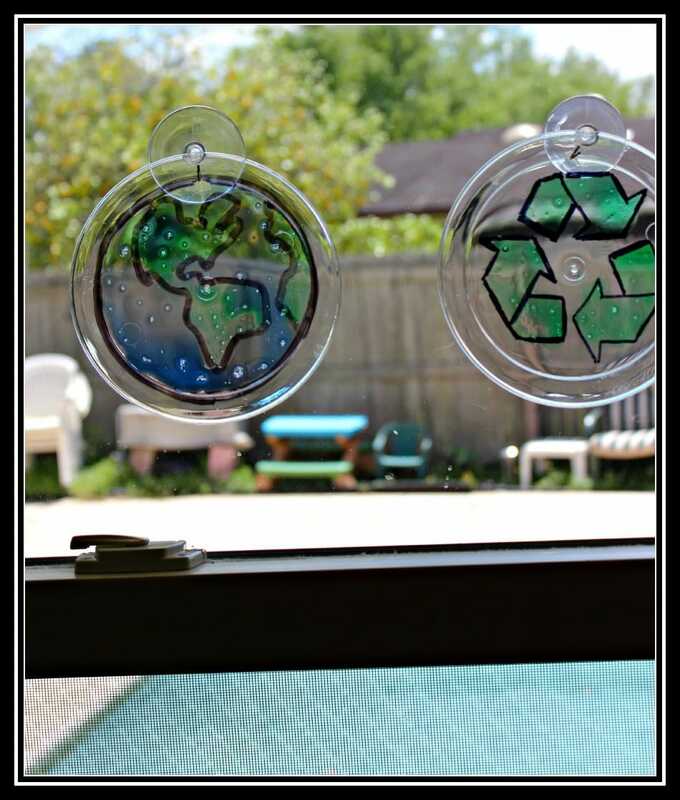 I am kind of on a suncatcher kick. I live in Florida. It’s sunny….and we have new windows! There are very few items needed for this one and it is SO CHEAP! a black sharpie/black paint marker The black paint marker looks better but the sharpie worked too. an Earth template if you are drawing challenged like me. Here is a great template. Position it under the saucer. 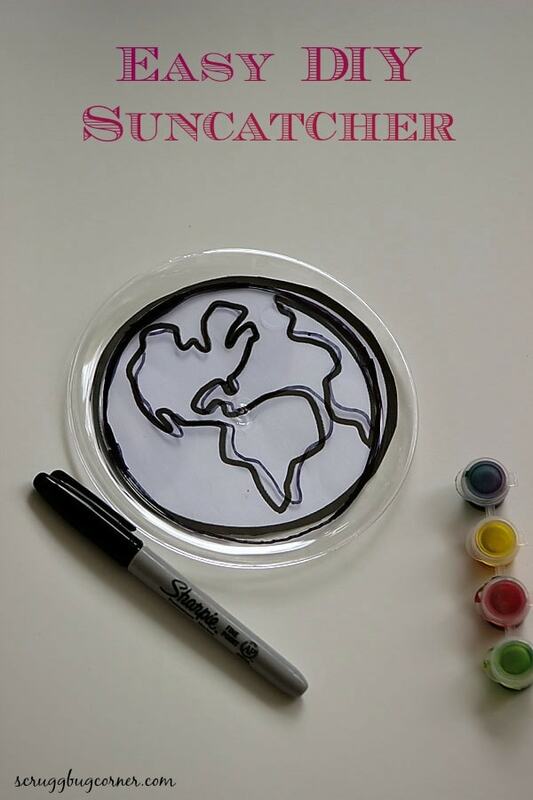 Trace the globe with the sharpie. Let the kids paint it! Dry then hole punch it and hang it up! Pork Chop wanted an even coat so got quite a bit of color on his sun catcher. 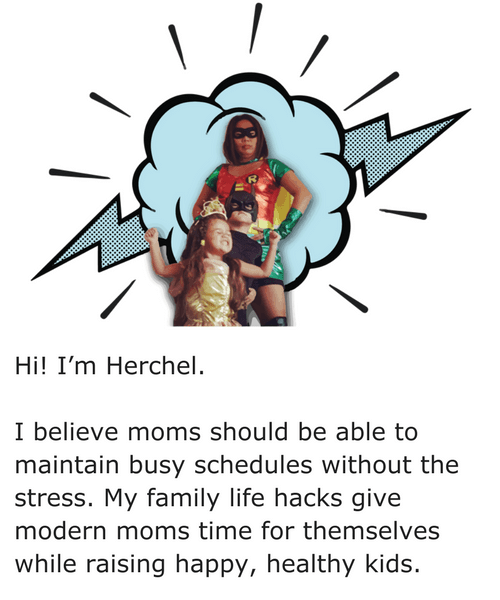 This was a quick and fun craft. I’ve gotta say that I gave myself a little pat on the back for coming up with something cute and fun for those saucers that I picked up on a whim. (Am I the only one that walks out of the Dollar Tree with 40 items when I went in for a pack of balloons?) 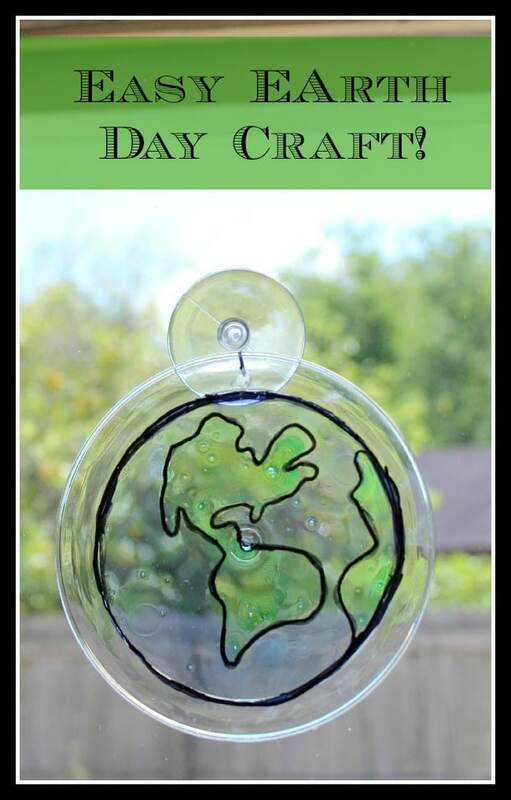 This simple Earth Day Kid’s craft required very little of time and was still FUN! We were cracking up at Pea’s insistence that the Earth really did have purple polka dots when it was sick.